Use our handy quick find categories to easily find the right heated towel rail for your bathroom. 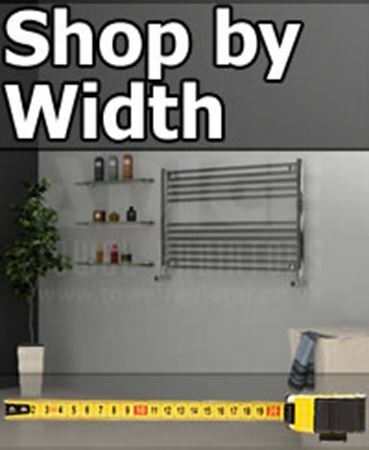 Whatever size or style of towel rail you are looking for, you can filter using these options to see the fantastic range of attractive towel rails we have available that match your requirements. For smaller bathrooms, we have narrow towel rails starting at 300mm, helping you save space while still enjoying gently heated towels. 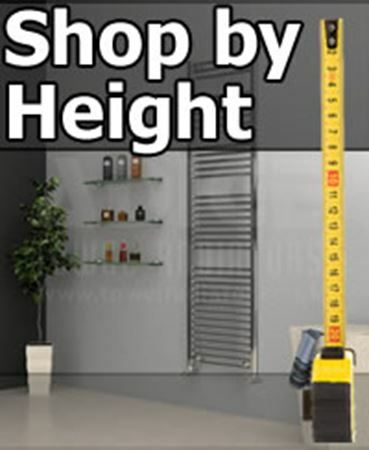 If you have more space to use, we can also offer 1200mm wide towel rails and all of the sizes in between, in a wide range of different heights and finishes. With so many designs and sizes to choose from, we are certain to have a great new heated towel rail to suit you, so use these categories to find it today!